Recently Designer Zahra Ahmad offered this Monsoon By Zahra Ahmad Lovely Limited Eid Collection 2012 with full of cultural touch and graceful look for forthcoming event of Eid-Ul-Fitr. Zahra Ahmad latest eid 2012 collection is a complete casual wear collection for women, which has consists of eastern style dresses with western touch. 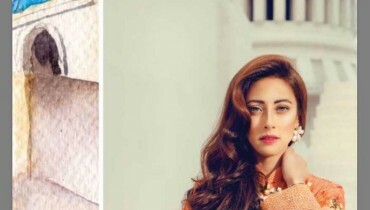 Zahra Ahmad is a very God gifted fashion designer in Pakistan; her collections are differing from others. Semi-formals are mostly included in this collection. These types of dresses are perfect forall type of ages of women because of their colors, prints and designs. In this collection latest fashion trend of A-line shirts, Frocks, plane Shalwar kameez and long shirts with churidar pajama embroidered special event wedding, evening wear dresses are included. Feature model of this Eid Limited Edition is Neha Ahmad. 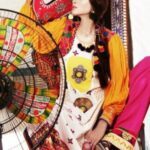 Let’s have a look at Monsoon By Zahra Ahmad Lovely Limited Eid Collection 2012. Outlets are in Karachi,Lahore,Islamabad,Faisalabad,Gujranwala,Sialkot and Abbotabad.